Last Saturday saw the second of the three back-to-back jams I took part in, the Manchester Hackathon. Organised by FuturEverything and Open Data Manchester, the hackathon was a wide-open contest to design and build content based on Manchester's ever-increasing wealth of open data. The hackathon was over one day at the ever-awesome Madlab, who I know pretty well through my work on the Manchester game jam. I've definitely never seen it anywhere near that packed-out though, the turnout was fantastic. I teamed up with digital whizz Nick Donovan, and together we managed to turn up a bit late and hideously under-prepared. Great start! When the contest was first announced, the main source of data was DataGM.org.uk, which is already a pretty comprehensive (and constantly growing) site that covers everything from census data through to crime statistics, or the density of trees and lampposts in Manchester. I'd had a few ideas in advance based on checking out these datasets, and thought I'd end up going with one of them on the day. However in a late turn of events, a ton more data sources were added at the last minute, on the Manchester DDA site. This new data included some that the Cornerhouse had decided to release, which immediately piqued our interest, so we built from there. The Cornerhouse data took the form of a huge movie screening dataset dating back to 1999, a well-organised and properly tagged Flickr stream, and an outrageously comprehensive record of books that the Cornerhouse has sold (and by 'comprehensive', I mean down to the millimeter measurements and weight of each book, of which there were thousands). 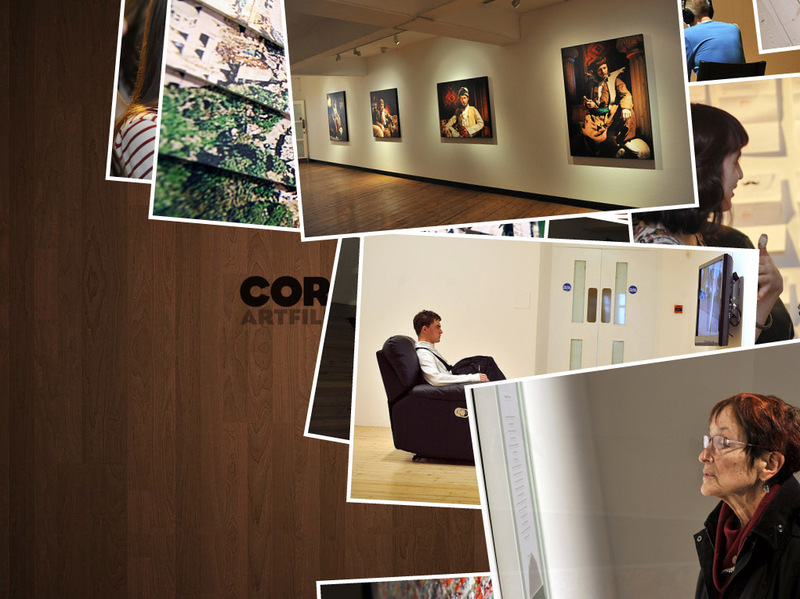 Taken as a whole, the data represented a really nice cross-section of what the Cornerhouse is all about. The Flickr photos were particularly interesting to us, especially the Exhibition photosets that had obviously been really well-chosen and were all really well shot (and crucially, well-categorised and labelled). Each photoset had one or two images that really drew the eye, even with knowledge of the exhibit context, and we quickly decided that this visual 'flicking through' exploration was one of the really exciting concepts that we could utilise. 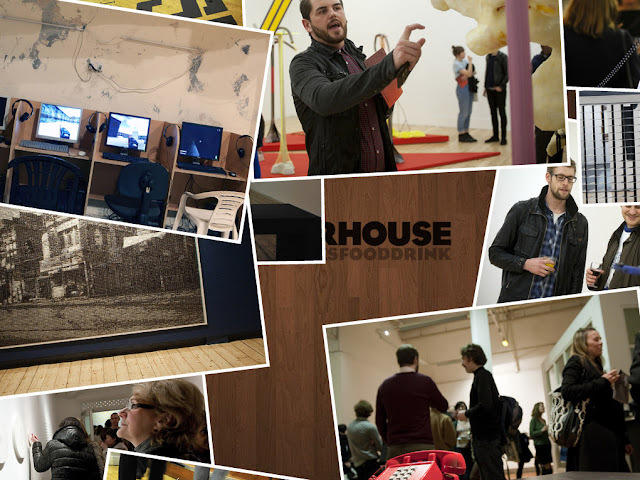 The breadth of visually-oriented mixed media is one of the big underpinning elements of what the Cornerhouse do, so our ideas took us down this route pretty quickly. 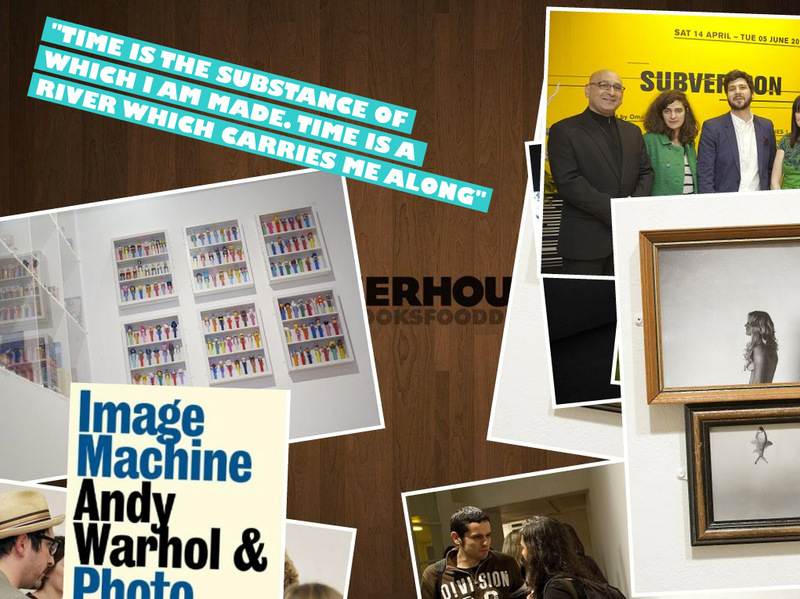 The idea we constructed was quite simple in the end: a visual tactile way to browse the Cornerhouse's past and present media, presented in a manner that was purely visual primarily, allowing the user to dig deeper into individual elements that catch their attention, be that image, quote, book or movie. This seemingly random approach to exploring media follows the same reasoning that makes browsing a bookshop or a gallery interesting, which we felt worked well with the Cornerhouse's ethos. In fact, during development we continually ran across interesting parts that one or both of us commented on and felt like exploring in more detail. We went for a two-part approach: the first was an interactive Flash prototype that queried the Cornerhouse's photo stream, and pulled out images specifically from the Exhibitions sets. We felt these images represented a strong and well-chosen set of visuals that weren't made up of random groups of people etc. 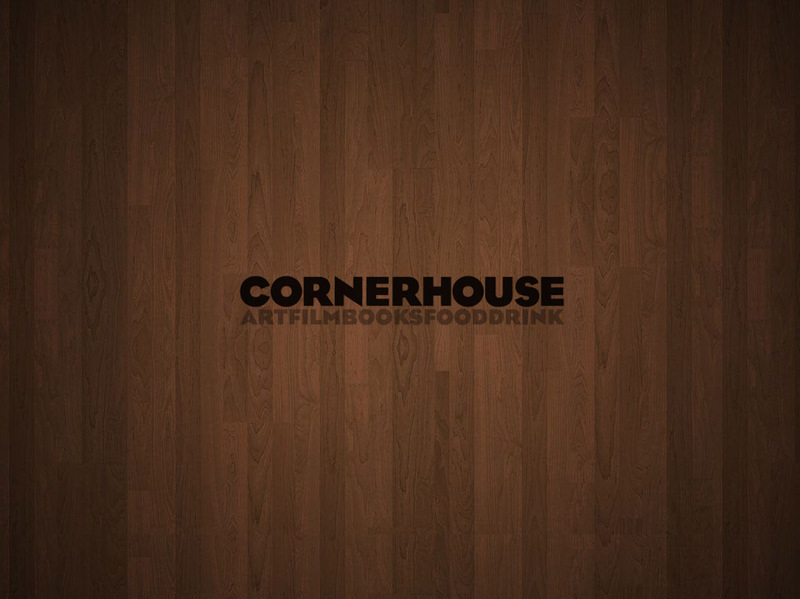 The second part was to visually mock up how we'd like to progress the idea further, with quotes and imagery from the movies and books that the Cornerhouse had curated in the past. Fake it 'til you make it! The actual project itself takes the form of a virtual table surface literally covered in this mixed media, allowing the user to physically move content around and explore it. The user can pick up and move anything, dismissing content they're not into by simply pushing it off the screen. 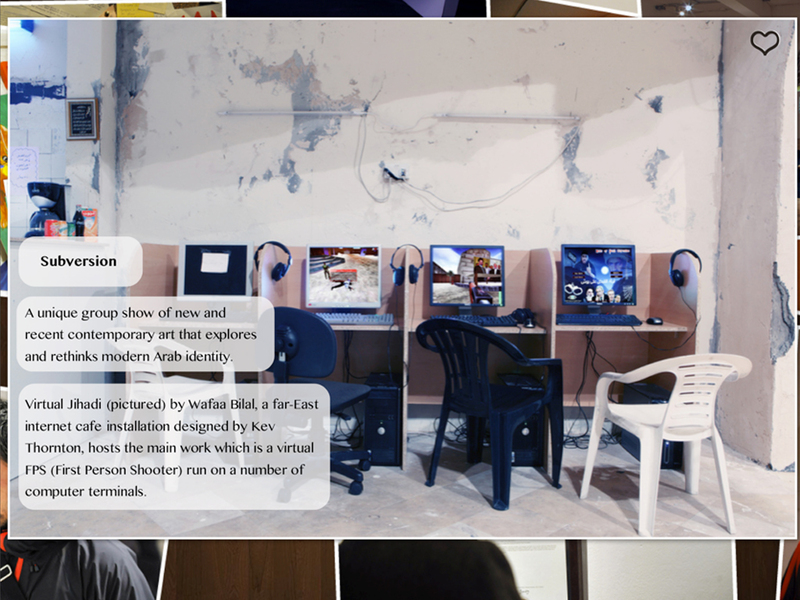 Users can also expand and explore content they find engaging, to read more concrete information on it. 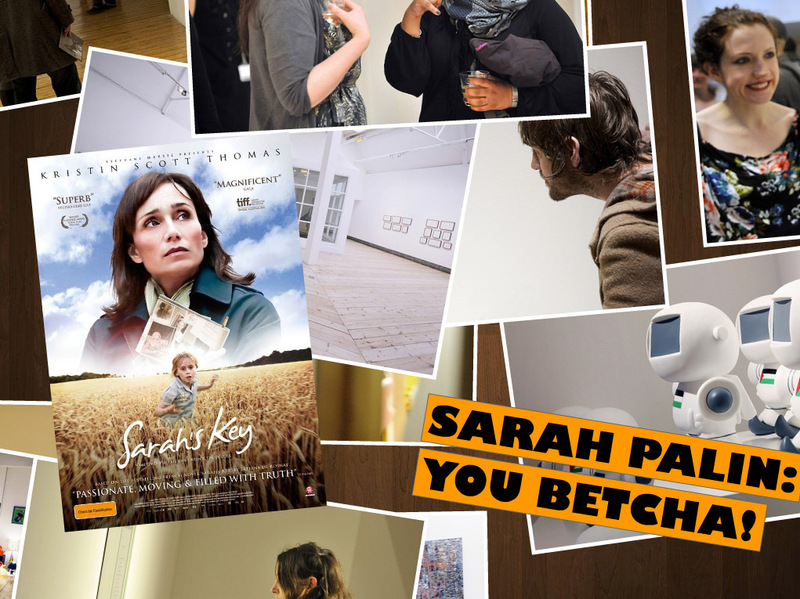 Users can also mark pieces as 'liked', allowing the app the continually re-assess their preferences and serve them increasingly tailored media. We're really happy with what we managed to get nailed down, and I think our decision to go with something a little more visual and tactile was the right one for us: there were a lot of amazing projects for example that were more geographical representations or raw data sets visualised, whereas our was a little more visuals-first. We had a couple of Cornerhouse folks in attendance too, they seemed quite positive about our idea, but by the point we were both pretty frazzled so I'm not sure what kind of impression we made... I also think that two minutes isn't *quite* enough to explain and demo things properly, it was really hard making sure we'd covered everything and the time pressure threw everyone off a bit I think. The overall and well-deserved winner was the Data Crossfader, which turned out absolutely brilliantly. It was one of the stand-out projects where even in a few hours of development they'd produced a piece that already allowing users to spot patterns in data, which I think is an astounding achievement in the timeframe we had. They won a giant pile of money to develop it into a real thing, and I really do think it's going to turn out to b a fantastic piece of work. Honourable mention also goes to John Rees, who decided that winning the developer prize wasn't enough (we both I voted for him), and narrowly beat us the visualisation prize too. Jammy git. John's app was a geo-locating toilet finder that not only looked brilliant, but more importantly had the most pun-tastic title ever: SatLav. He even did a making-of timelapse which turned out great too. Huge thanks to the organisers and hosts, and Nick and I would particularly like to thank the Cornerhouse for giving us the opportunity to build something a little different. We had a blast. Haha! Awesome post Dan, it was great to meet up after briefly twitter stalking your gamejam work! 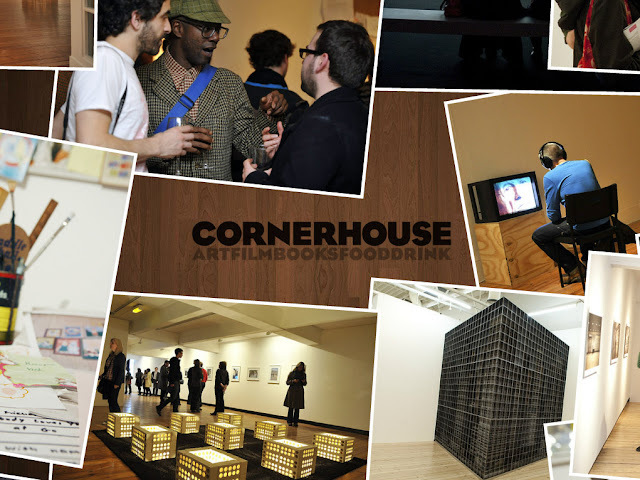 I really hope this isn't the last we see of the Cornerhouse coffee table, it looked brilliant on the big screen. iPad app perhaps? Beers are definitely on me if we run into each other again. Only fair after A. you pushed me into going with the idea, B. your rapturous cheering after the name was announced in my presentation!